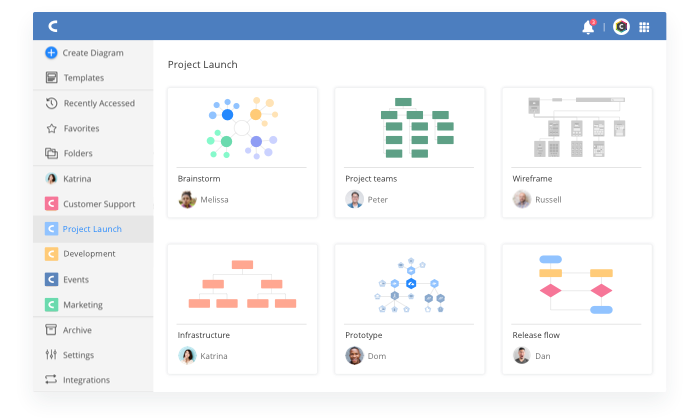 Review: "Cacoo is easy to use and gives professional visual results"
We use Cacoo for mapping, diagrams, whiteboarding online, organizational charts and similar visual support options. Many of our creative team prefer it to other similar options in the market. The paid version is more than other products in the market for some needs. Some on our team noticed that some of the templates and stencils disappeared in an upgrade last year ( but has not impacted me). It's one of many in the market and our agency doesn't mandate the use of any one platform (including this). It's a great alternative to taking photos of whiteboards to save for later reference, you can just create them here. 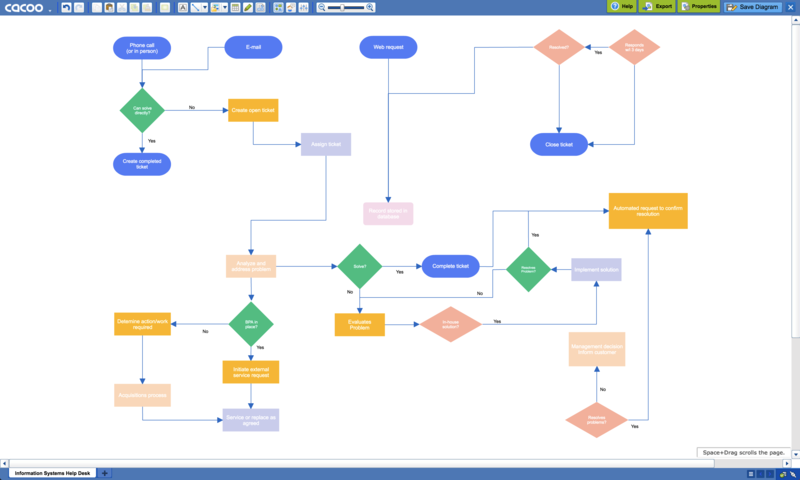 It's also the best option I've found for creating workflows and organization charts, especially complex ones. If you have just a simple workflow or chart, it's probably too robust or complicated for those needs. Save it for the trickier or messier ones! 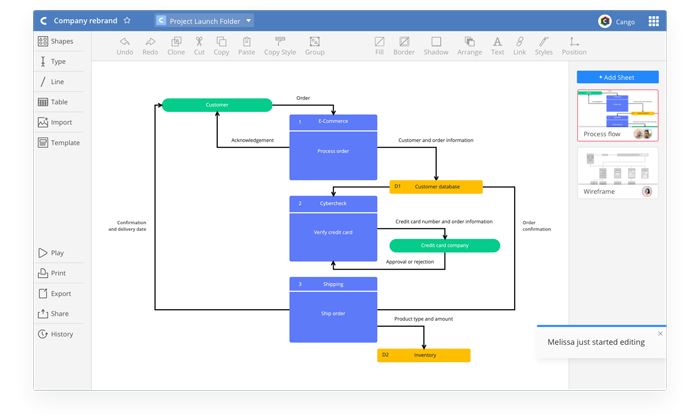 Cacoo is a user-friendly online diagramming tool that allows users to create a variety of diagrams such as wireframes, flowcharts, UML diagrams, network diagrams, mindmaps, sitemaps, database diagrams, and more. Cacoo includes an extensive collection of templates and shapes, collaboration features such as simultaneous editing, version tracking, and commenting. Cacoo is simple, cloud-based software users can access from anywhere with an internet connection.